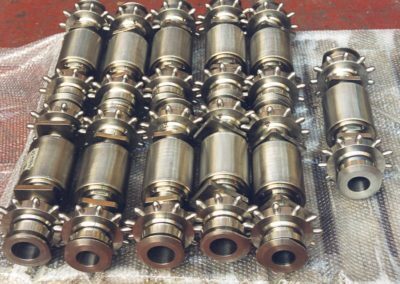 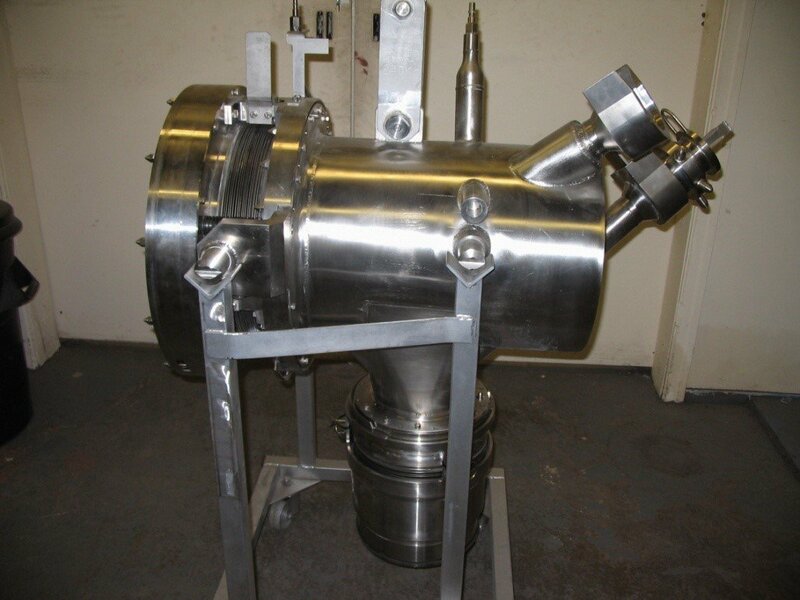 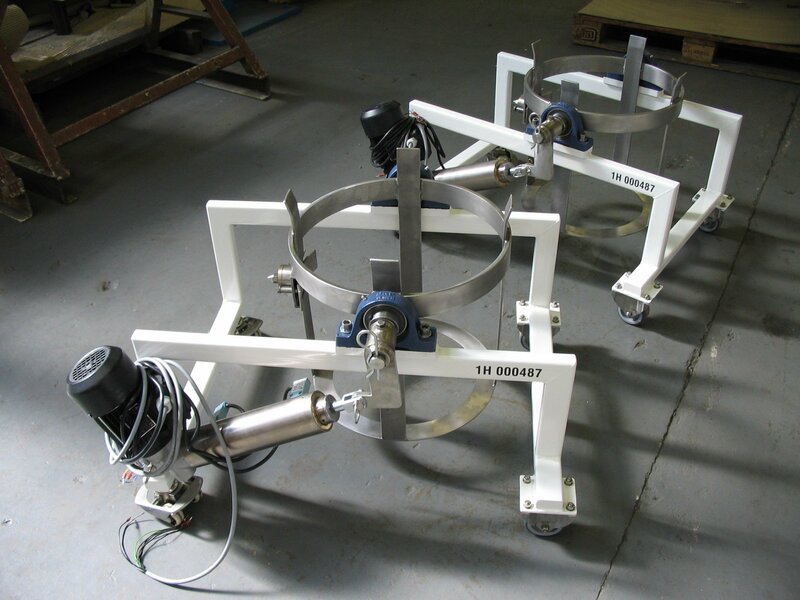 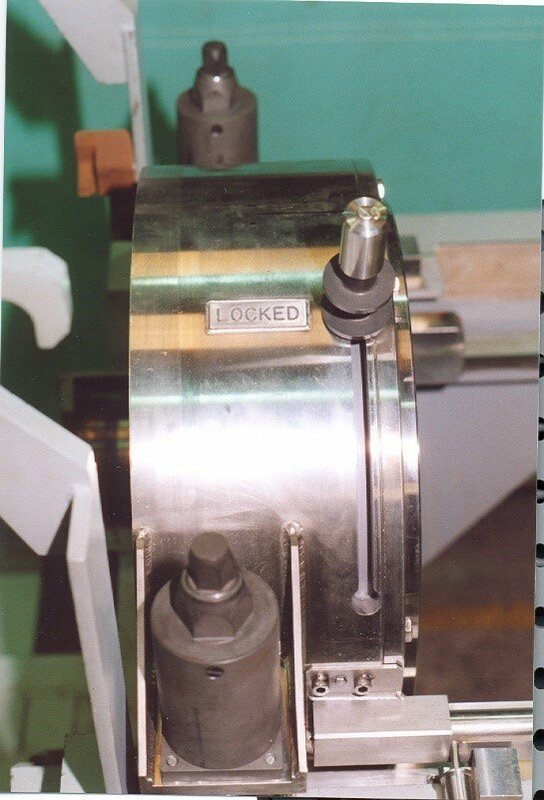 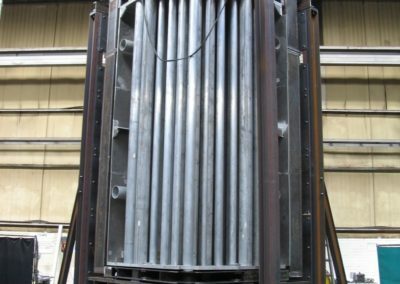 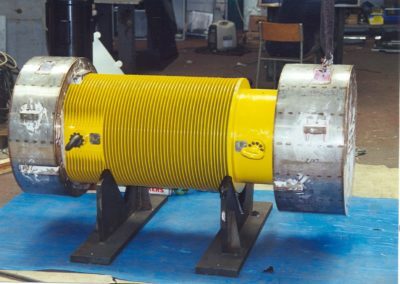 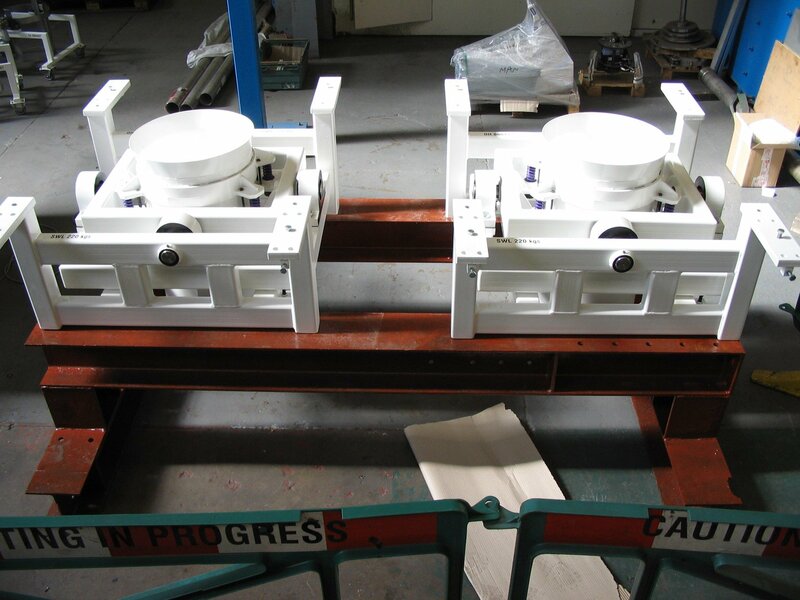 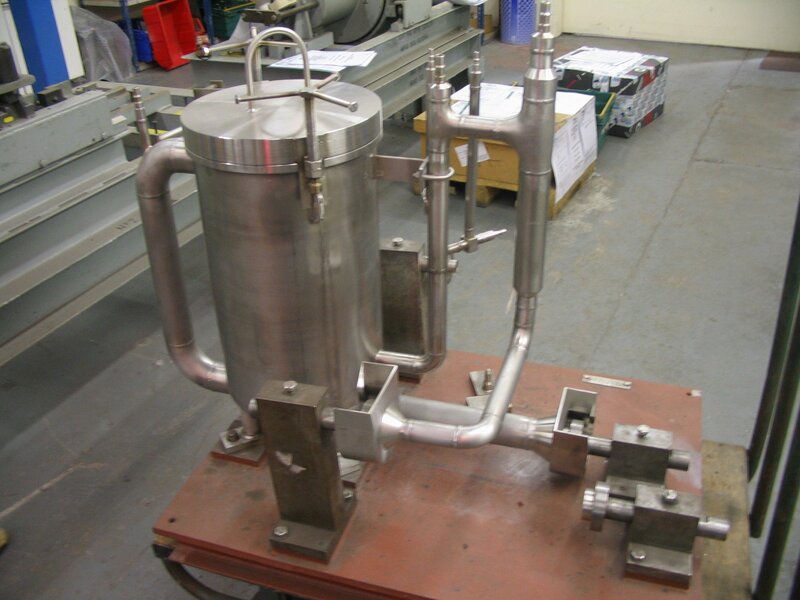 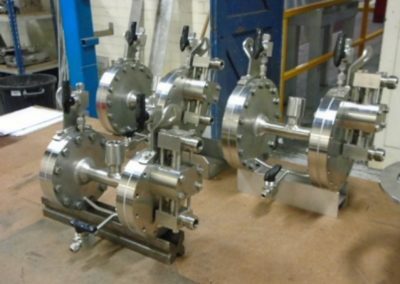 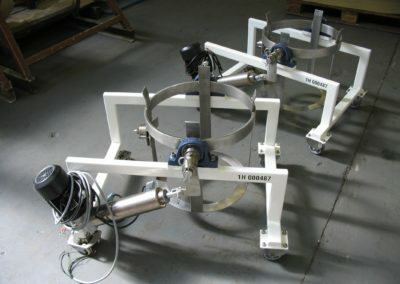 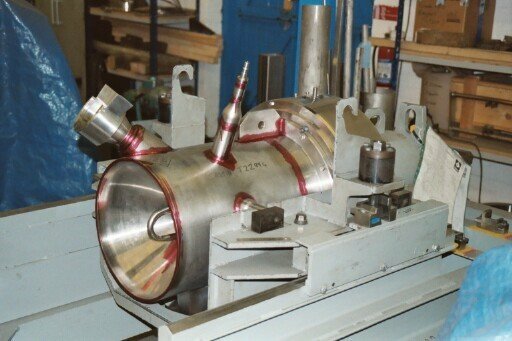 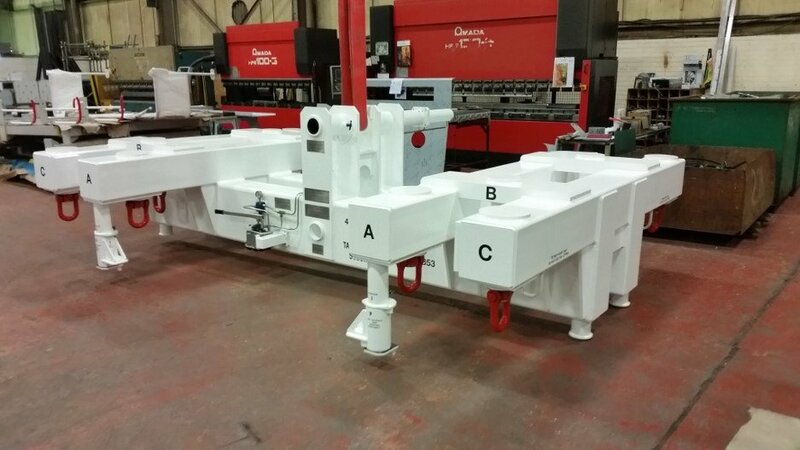 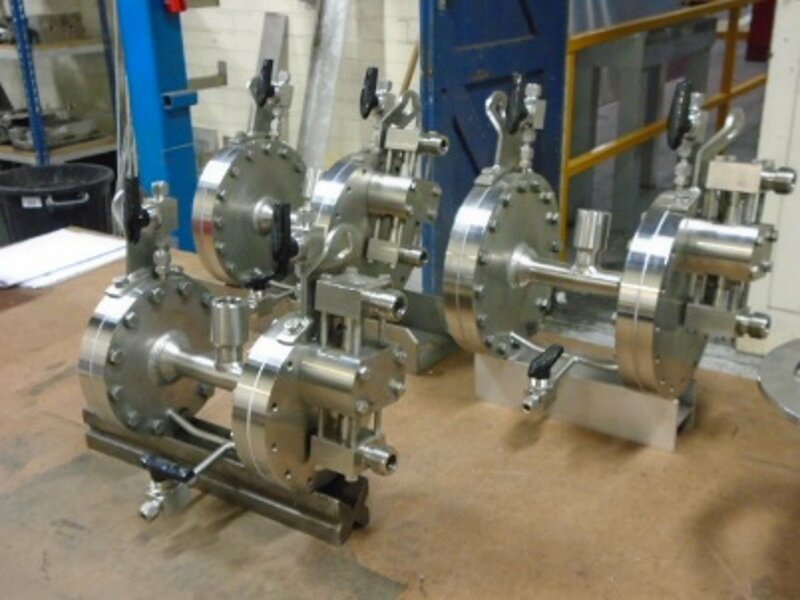 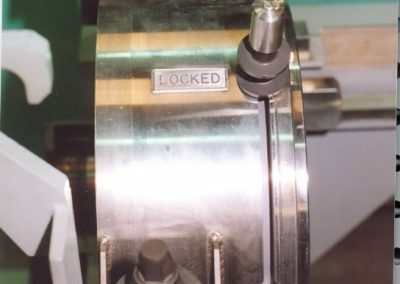 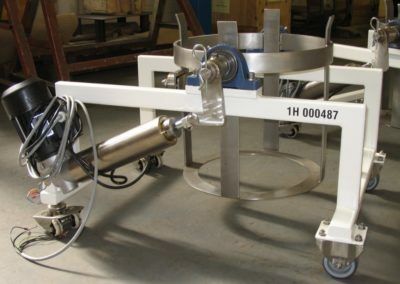 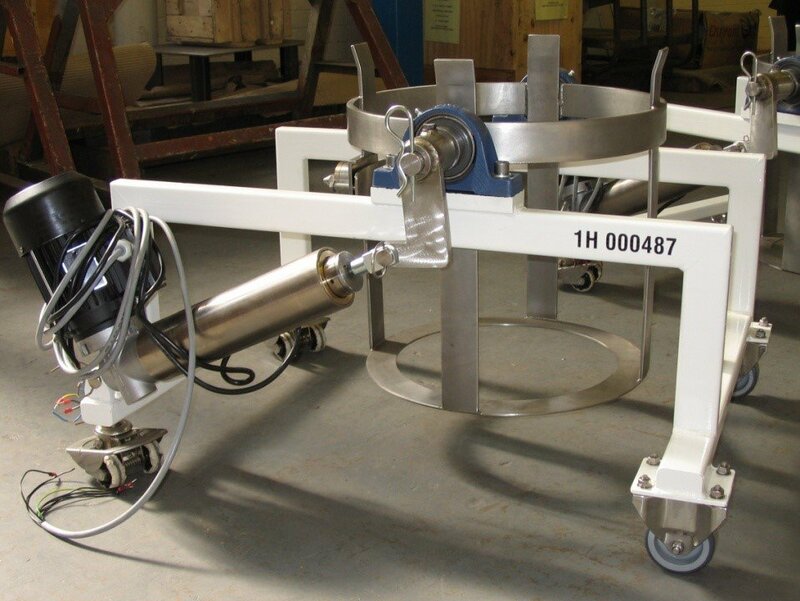 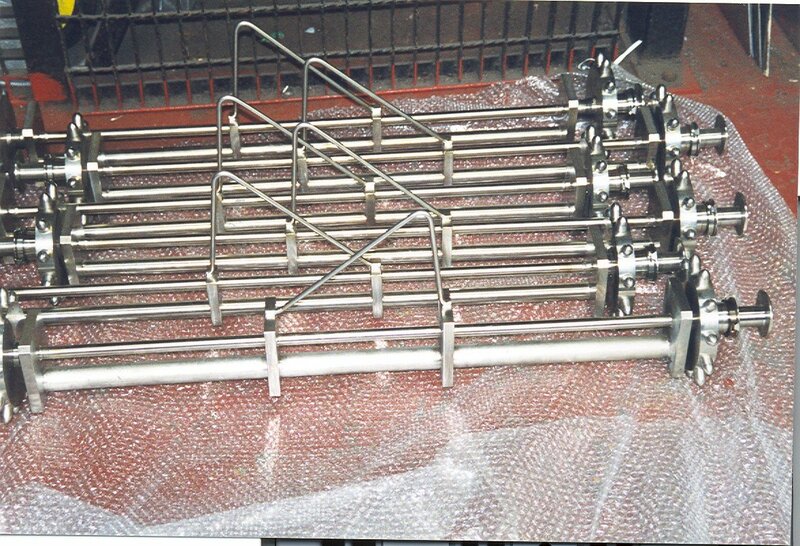 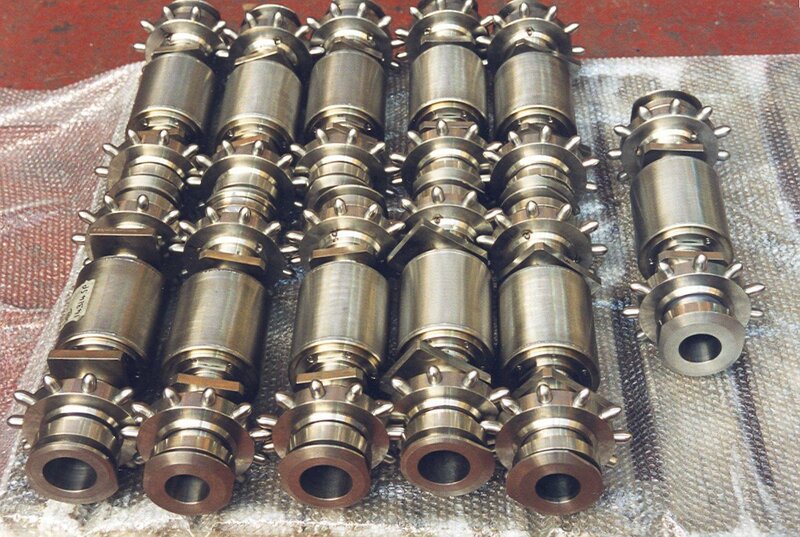 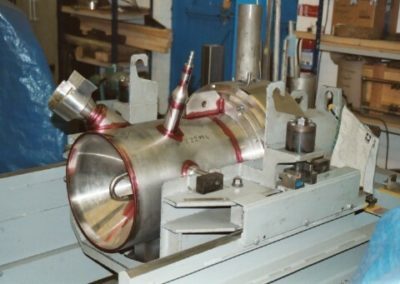 Eurofabs (UK) Ltd have been supplying Equipment into the nuclear sites for almost 20years, we have completed Manufacture and design & Build contracts in Stainless Steel, Carbon Steel and Aluminium, we have one of the two Calciner Jigs for the production of Critical Spares for the Vitrification Lines. 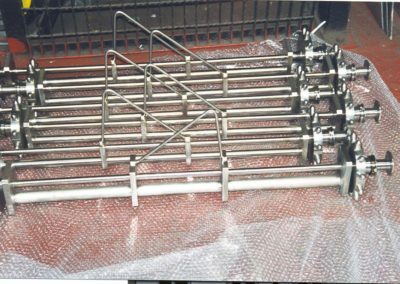 This was a design & build contract for a frame to fit over the concrete roof plugs in B38 that had 4 Hydraulic rams to the “Crack” the plug as they have not been removed for a number of years to allow cameras to be placed in the silo for investigation. 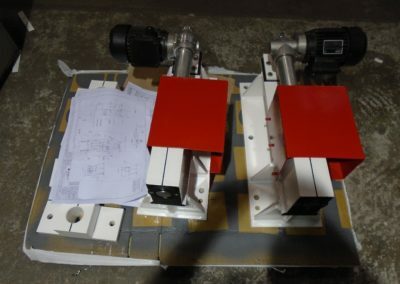 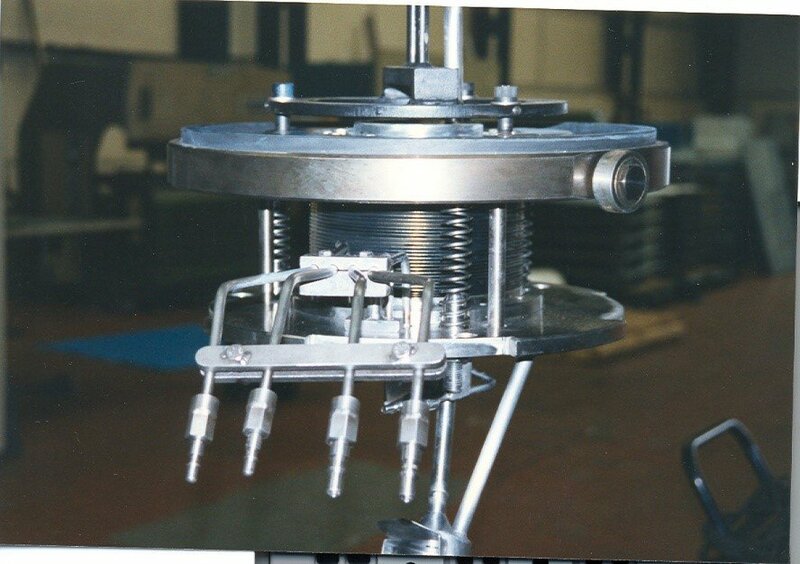 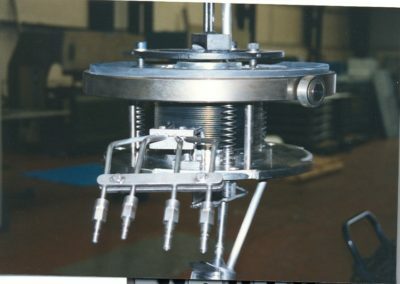 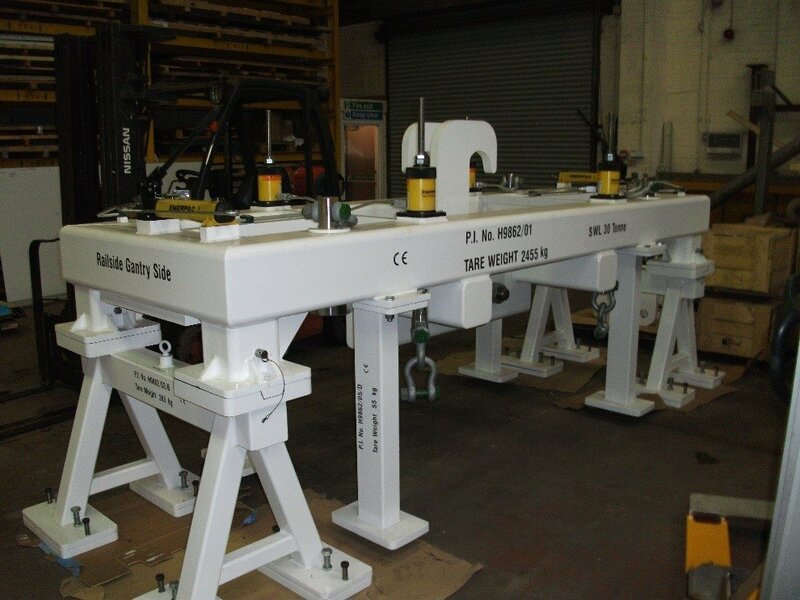 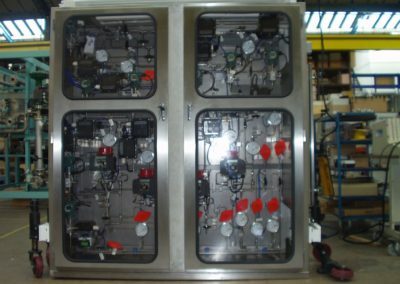 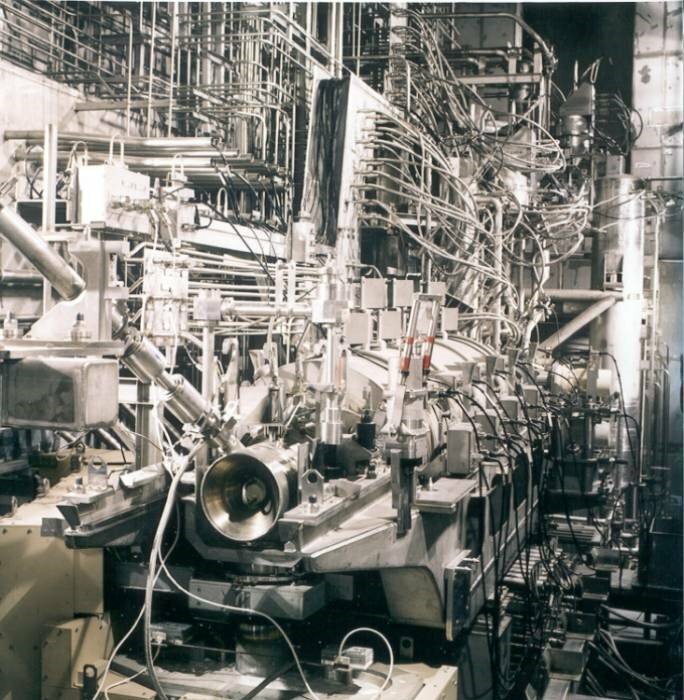 The design because of the nature of the building had to be very conservative and was finalised by producing a SHS frame carrying the jacking point, jacks were manually operated and safety mechanisms in the circuit prevented any overload, the completed frame was proof load tested to 60t prior to painting with PSX 700. 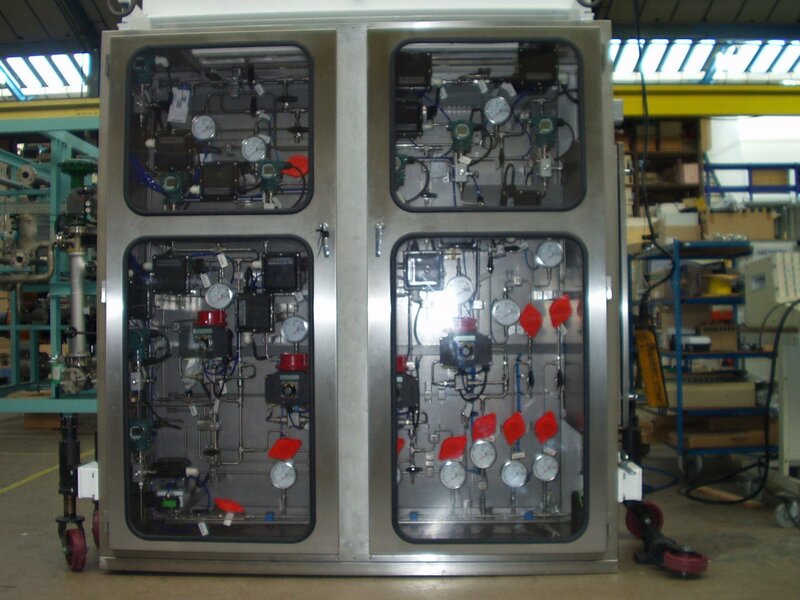 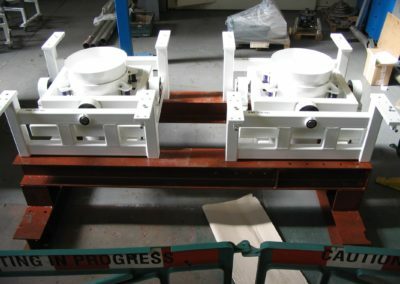 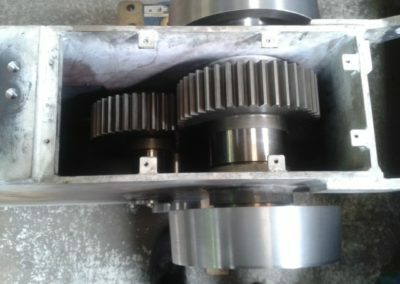 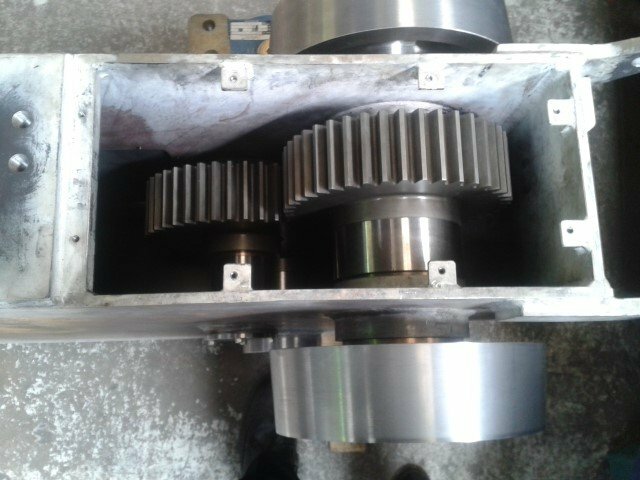 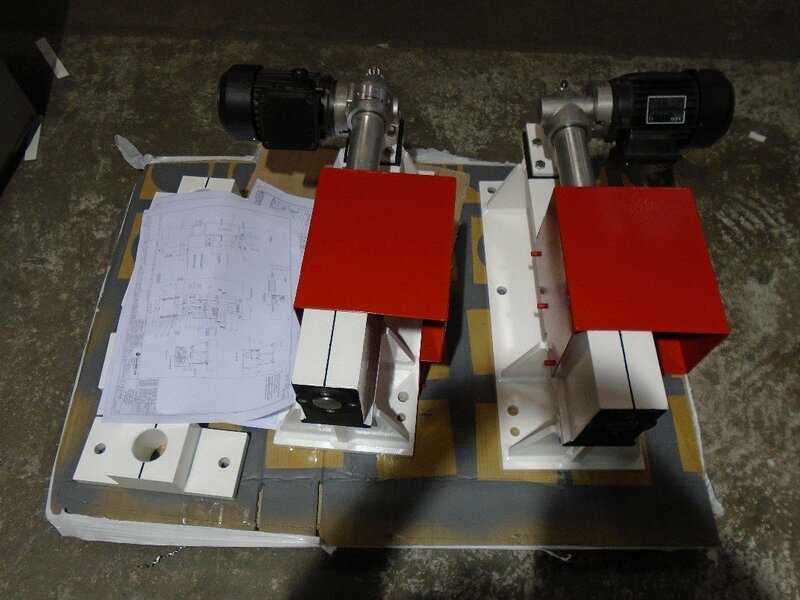 Manufacture and testing contract for shield door drives and locks, this involved the fabrication and machining of the gearboxes and door locks, the drive units open and close a 10t shield door suspended from a support beam to protect the flask. 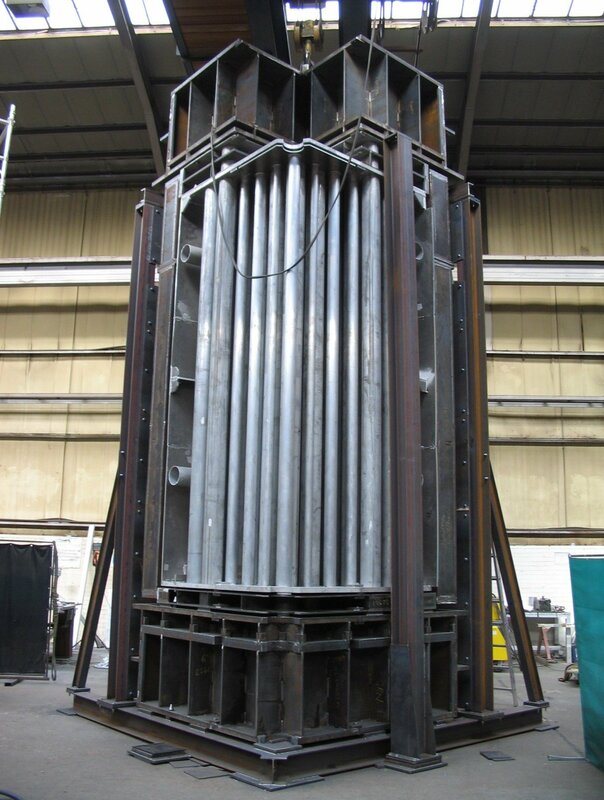 Manufacture included carbon steel fabrication, machining, proof load testing, painting and delivery to site, concurrently with the manufacture a comprehensive LTR package was compiled that fully satisfies the requirements of CQR 01/02, this involved the use of several sub-contractors to complete the contract, full details of all subcontractors are included in the LTR package.